5 Ways to Shake Up Your Open Enrollment Strategy This Year | WEX Inc.
As temperatures drop and the fall season comes to an end, stress spikes in HR departments all over the country—that’s because it’s open enrollment season. Open enrollment is a window during which individuals and employees may add or drop their health insurance, or make changes to their coverage. The 2019 open enrollment period runs through Saturday, December 15, 2018, and if your employees don’t act by then, they can’t get 2019 coverage unless they qualify for a special enrollment period. Keep in mind that for employer-sponsored coverage, the open enrollment period is set by the employer, so be sure to clearly communicate these dates to your employees. To make a better impact on your employees this year and drive engagement to new levels, here are a few suggestions on how to innovate your strategy. Who says that employee benefits can’t be enticing? Consider creating a workplace party or fun event at your employee benefits meeting this year. With bean bag toss games, door prizes or even a raffle drawing, you’re more likely to draw a crowd and to get your message heard. You’ll also be there in-person to answer any questions someone may have about their benefits, and nothing beats personal interaction. Millennials are now the largest generation in the labor force, and their preferences should be taken into consideration when picking your employee benefits communication strategy. Long, lengthy paragraphs of dry content won’t be cutting it for this group; instead, consider using interactive quizzes or digital communications to reach them with pertinent information. As younger professionals, they might not have the expertise in life insurance or retirement planning, so introducing some educational tools would also be beneficial to help ensure they make the best decision for themselves. Are your employees interested in consumer-directed healthcare plans? Would they appreciate participating in a workplace wellness program if it was made available? If you don’t know the answers to these questions, ask for them. That’s the best way to find out what employees are looking for in the ideal benefits package. Conducting a survey prior to enrollment is a great way to show employees that you’re engaged in what they’re looking for, and asking for feedback afterwards will show you how much progress you’ve made. Let’s be honest: Fine print is exhausting. Do your employees a favor and outline the benefits and disadvantages of each plan option so that there’s a clear understanding of expectations, costs and advantages. Simple charts, engaging videos and quizzes help to make difficult benefit decisions easier for the average participant and will eliminate the hassle of questions entering your inbox. After employees have made their decisions and enrollment is complete, the conversation regarding benefits and best practices does not have to end. Consider touching base with your employees every few months with tips and tricks regarding their benefit plans and how to save costs and utilize the tools available. This will not only make the next year’s enrollment easier due to better understanding, but will make employees feel that they are an equal participant in their benefit plan and taking control of their overall health. 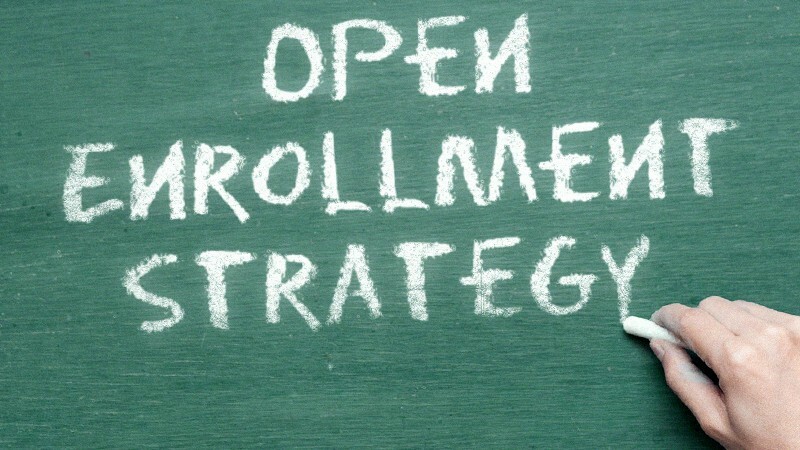 We hope these tips will help you to evolve your open enrollment strategy this year. Looking for more insights? Read about what consumers care about during open enrollment and what employees need to know about their HSA and FSA dollars at year end. Lindsay Jacobs is a Content Strategist at WEX Health where she focuses on developing strategic and engaging consumer-driven healthcare content to elevate the WEX Health brand and help WEX Health Partners grow and succeed. 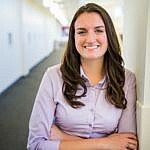 She graduated with her Bachelor’s Degree from Concordia College in Moorhead, MN and completed her Master’s in Business Administration at Hamline University in August 2018.